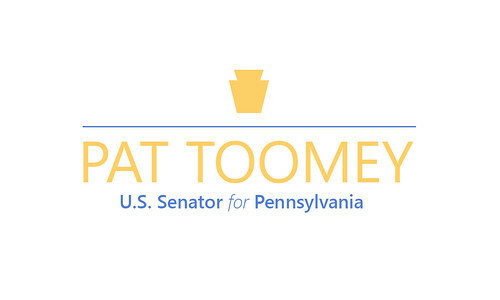 Washington, D.C.- Three of Pennsylvania's preeminent business and manufacturing groups representing companies of all sizes and their workers are urging the Senate to pass the Tax Cuts and Jobs Act. In a letter, the Pennsylvania Chamber of Business and Industry, the National Federation of Independent Business- Pennsylvania (NFIB-PA), and the Pennsylvania Manufacturers Association (PMA), noted that the Tax Cuts and Jobs Act will encourage businesses of all sizes "to invest in their factories, expand their domestic operations, and hire more workers." The letter goes on to state that Tax Cuts and Jobs Act helps hard-working families and individuals by simplifying the tax code while "delivering significant direct tax rate relief." 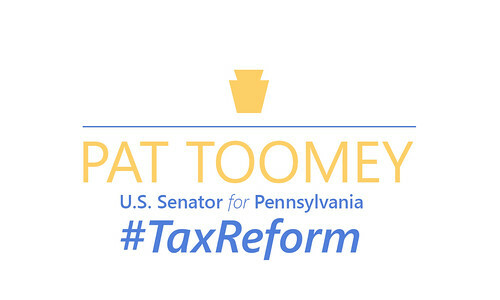 "The Tax Cuts and Jobs Act will cut taxes for Pennsylvania families and will accelerate economic growth while turning one of the world's worst business tax code into one of the best," said Senator Toomey. "This will mean significant new investment, business expansion, and new business startups, leading to more jobs, higher wages, a better standard of living for more Pennsylvanians. I greatly appreciate the support from the Pennsylvania Chamber, NFIB-PA, and PMA for this legislation." You may review the Pennsylvania Chamber of Business and Industry, NFIB-PA, and PMA's letter in support of the Tax Cuts and Jobs Act here, or read it below. We, the undersigned organizations, write to express our strong support for the Tax Cuts and Jobs Act, as modified by Senate Finance Committee chairman, Senator Orrin Hatch. Pennsylvania workers and employers all across the commonwealth stand to benefit greatly from the most significant pro-growth tax reform legislation in three decades. For hard-working families and individuals, this legislation makes the complex and painful process of filing your taxes simpler while delivering significant direct tax rate relief. Just as importantly, the bill makes fundamental reforms to an outdated code so our economy can grow and American businesses, both large and small, are globally competitive once again. The pro-growth incentives in the bill are many: full expensing of new equipment and machines, reduction in tax rates for pass-through businesses, and a globally competitive tax rate on corporations that is made permanent so more investment occurs in America and not overseas. Together, these modifications will encourage small, mid-sized, and large Pennsylvania companies to invest in their factories, expand their domestic operations, and hire more workers. We are excited about the tremendous economic growth opportunity that tax reform provides to our state, local employers, and workers. And while no legislation is perfect, we believe passage of the chairman's mark of the Tax Cuts and Jobs Act will result in higher wages and salaries for workers, more job opportunities, and a better economy for all Pennsylvanians. We urge adoption of the Tax Cuts and Jobs Act, and thank you in advance for consideration of our views.